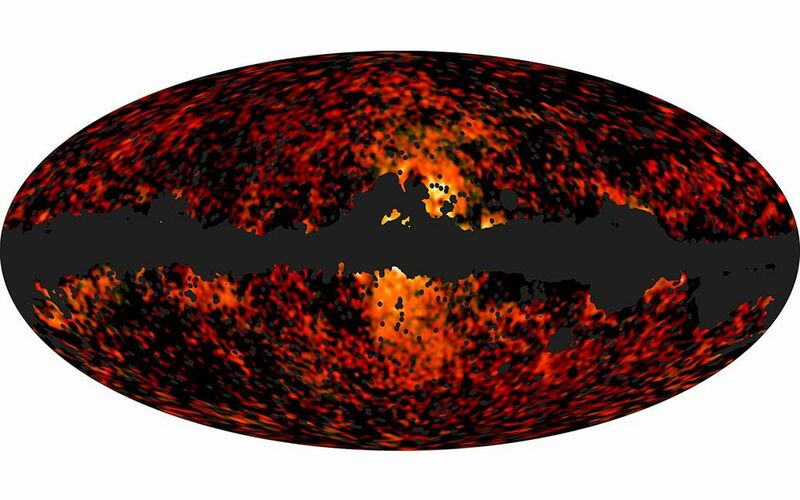 This all-sky image shows the spatial distribution over the whole sky of the galactic haze at 30 and 44 GHz, extracted from the Planck observations. In addition to this component, other foreground components such as charged particles accelerated radially, known as synchrotron radiation, thermal dust, spinning dust, and extragalactic point sources contribute to the total emission detected by Planck at these frequencies. The prominent empty band across the plane of the galaxy corresponds to the mask that has been used in the analysis of the data to exclude regions with strong foreground contamination due to the galaxy's diffuse emission. The mask also includes strong point-like sources located over the whole sky. The galactic haze is the infinity-like symbol seen around the galactic center, and its spectrum is similar to that of synchrotron emission, a type of non-thermal radiation generated by charged particles. However, compared to the synchrotron emission seen elsewhere in the Milky Way, the galactic haze has a "harder" spectrum, meaning that its emission does not decline as rapidly with increasing frequency. Diffuse synchrotron emission in the galaxy is interpreted as radiation from highly energetic electrons that have been accelerated in shocks created by supernova explosions. Several explanations have been proposed for the unusual shape of the haze's spectrum, including enhanced supernova rates, galactic winds and even annihilation of dark-matter particles. Thus far, none of them have been confirmed and the issue remains open. Planck is a European Space Agency mission, with significant participation from NASA. NASA's Planck Project Office is based at JPL. JPL contributed mission-enabling technology for both of Planck's science instruments. 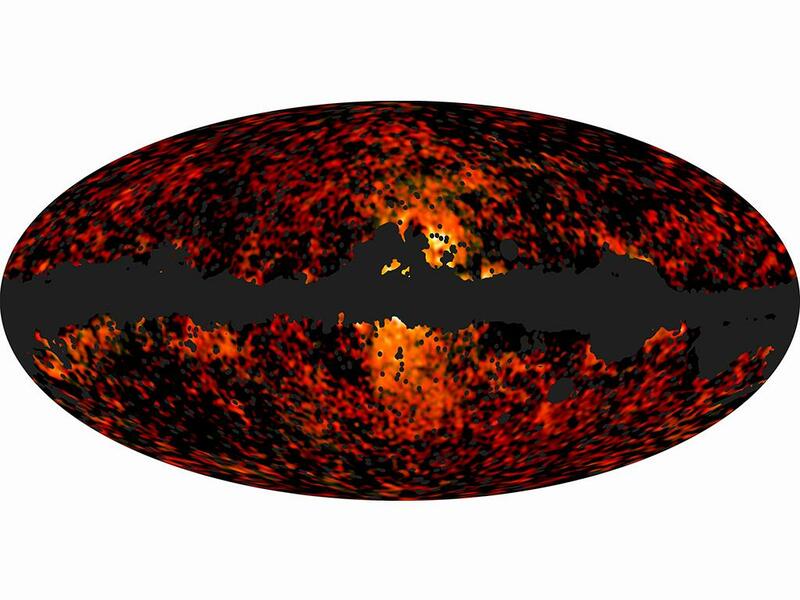 European, Canadian and U.S. Planck scientists will work together to analyze the Planck data. 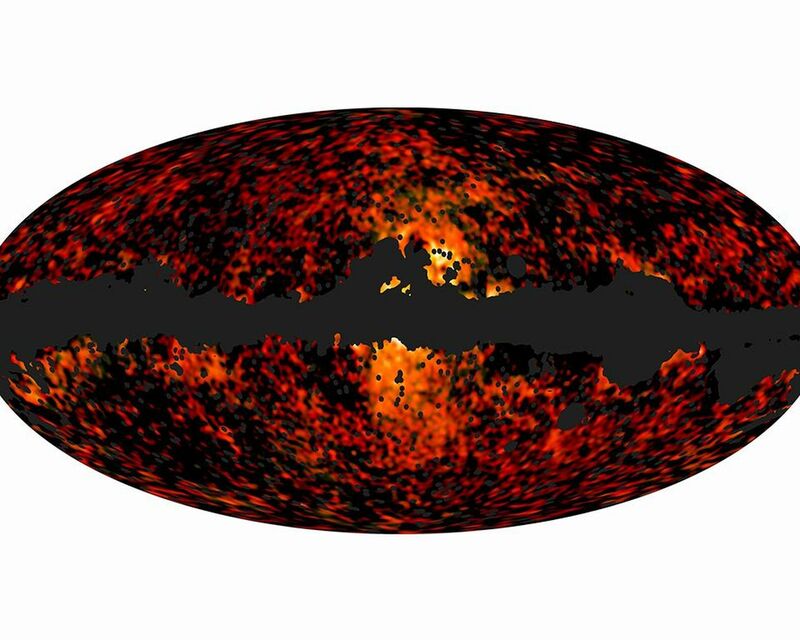 More information is online at http://www.nasa.gov/planck and http://www.esa.int/planck.